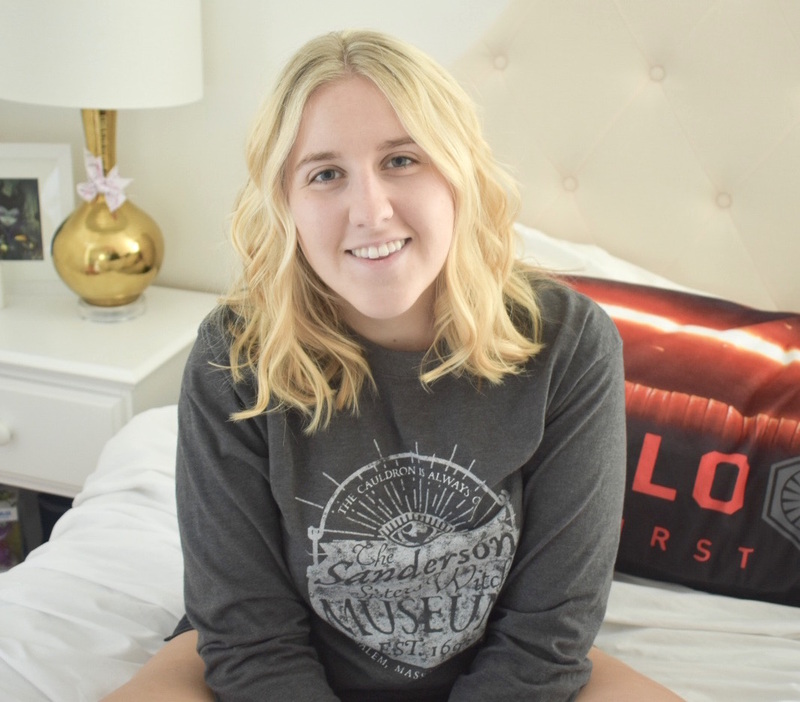 With the start of school fast approaching, I wanted to dedicate the month of August to talking about college on my blog! I commute to campus from my house and I've found that there are quite a few other people who do this as well. 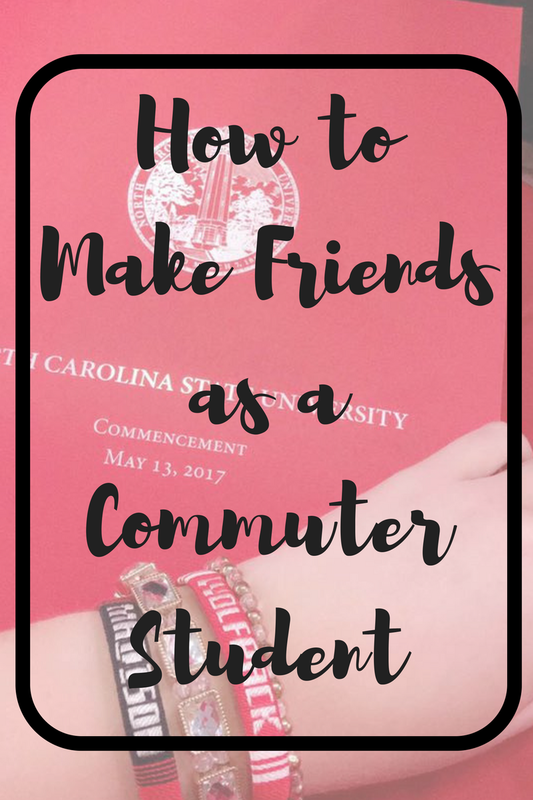 In college, most people tend to make friends through their dorm, so for commuters this can seem like a challenging or impossible task. Fear not! Making friends while commuting is much easier than you'd expect! Where do I met these "friends" you speak of? There are SO many places to meet friends and none of the ones I mention are going to involve dorms. Get creative and try to make friends wherever you go! If you're in the same place, there's a really good chance you have a common interest and, therefore, something to talk about! Your parking lot. This might seem weird at first but if you think about it, it's kind of obvious. You probably park in the same area everyday and since we have pretty set schedules in college, other people do this too. Notice who comes and goes at the same time as you and don't be afraid to start a conversation with them while you're waiting for the bus or walking to class. I always feel a little safer traveling to and from campus with someone I've gotten to know. In class. Making friends in class is fantastic because you have someone who can help you with homework and you can study for tests together. I try to make friends with the people sitting around me and make sure to get their number during the first week in case I have questions about the class. You're going to see these people so much throughout the semester, it's only natural that you become friends. Orientation. This is a really big one if you're an incoming freshman. Some of my best friends in college are the ones I met at orientation. You're all there hanging out together and it's easy to make plans to meet and catch up during the day when school starts. If you're not a freshman, there are still some orientation types of events for specific majors and back-to-school activities where you can meet these friends! The library. In our library, there are a lot of tables and group study spaces that usually result in a bunch of strangers sitting together studying on their own. It's okay to talk to these people and learn a little about them! You might find that you have something in common and you can start a friendship from there. It's nice having someone to meet in the library to keep you company while you work. So now that we have several places to make friends, we need to think about how we are going to maintain these friendships. It's easy to be nice and friendly with someone for a day, but it's a little harder to make sure the relationship lasts. Sometimes you have to put in extra time and effort to adjust your schedule so that you can hang out. I definitely consider spending additional time on campus worth it in order to have friends there! How can I maintain these friendships? Stay on campus a little longer. It's very tempting to leave campus as soon as you're done with classes, especially when you have a long drive home. Make it a point to stay a little longer at least once a month and do something social. I would suggest doing this on the day you normally leave earliest so it's not too rough and never stay so late that you're in danger of walking or driving in the dark when you're not used to it. If most of your classes are late, you could definitely come to campus early and have lunch with friends, which brings me to my next point. Have meals with friends. This is definitely not something I do often because I like bringing snacks from home and don't want to spend money on food everyday. It's fine to do this on occasion though! I make lunch plans around once a month and I try to change up the people I'm meeting to make sure I'm spending time with everyone. You can decide if lunch or dinner best fits your schedule and check with your friends. Make plans to meet up. If you don't have time for having a meal together, make plans to meet up during your free time and do something productive for both of you. Whether you're studying together, working out, or picking up some necessities from the store, you're still spending time together! It's great to be able to multitask being social with getting stuff done. Attend events on campus. There is always something going on at my school and I'm sure it's the same for you guys. One of my classes last year had a calendar of all these events and required us to attend a certain amount, so I always made plans with a friend to go. I was completing an assignment but I was also catching up with a friend so it was a win-win. Now that I'm out of that class, I still go to different events on campus (especially if there are free tee shirts) and I take friends along. Events are a great excuse to hang out together and have fun. Now it's time to get out there, make some friends, and have a great school year! 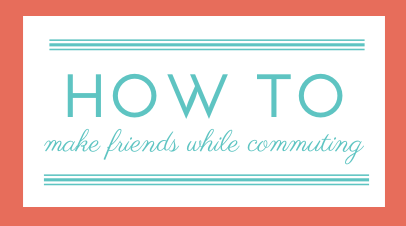 Do you have tips for making friends on campus?